Roger Federer may have won the #MiamiOpen, but with an eight-week break coming up, can he also win the #FrenchOpen? 2016 wasn't a year Roger Federer will want to remember. Already 34-years-old, Federer was plagued by injury – he had surgery on his left knee in February, missed the French Open, and, in July, announced his season was over as he recuperated from the toll two decades of tennis had taken on his body. Things were looking grim for the fan favourite. This year, however, has seen the rebirth of Roger Federer. Having already won the Australian Open, Roger Federer just completed his third Sunshine Double, courtesy his straight-sets victory over arch-rival Rafael Nadal in the Miami Open final. The Sunshine Double refers to winning the Indian Wells and Miami Open ATP World Tour Masters 1000 tournaments back-to-back, a truly commendable feat. Even more so at the age of 35. While no one ever doubted Federer's ability as a tennis player, his return from injury has been one even his most ardent fans wouldn't have imagined. Greatest start to a season since 2006? Back in 2006, Federer went 33-1 as he embarked on a 16-match winning streak that was halted by Nadal in the finals of the Dubai Tennis Championships. Federer finished the year as the world number one, and was several thousand points ahead of his closest rival Nadal. Federer also won three out of the four Grand Slam titles on offer – losing only in the French Open, once again to Nadal.In 2017, Federer has gone 19-1. His first loss came just after his Australian Open success in his 9th match of the season at the Dubai Tennis Championships. Federer lost to world number 116 and qualifier Evgeny Donskoy, despite holding three match points in the second set. That was a shock, but so far it's been one-off for the tennis wizard. In 2017, Federer has gone 19-1. His first loss came just after his Australian Open success in his 9th match of the season at the Dubai Tennis Championships. Federer lost to world number 116 and qualifier Evgeny Donskoy, despite holding three match points in the second set. That was a shock, but so far it's been one-off for the tennis wizard.Federer went 33-2, losing twice to Nadal twice in the first third of the 2006 season. In 2005, he did slightly better with a win-loss record of 38-2. At that point he was in his mid-20s, the career peak for most tennis players. This season, his 19-1 record is phenomenal. While he is obviously picking and choosing tournaments to ensure his physical well being, the results are there for all to see. He's won three out of the four tournaments he's played, and his next tournament will be the French Open, in May. 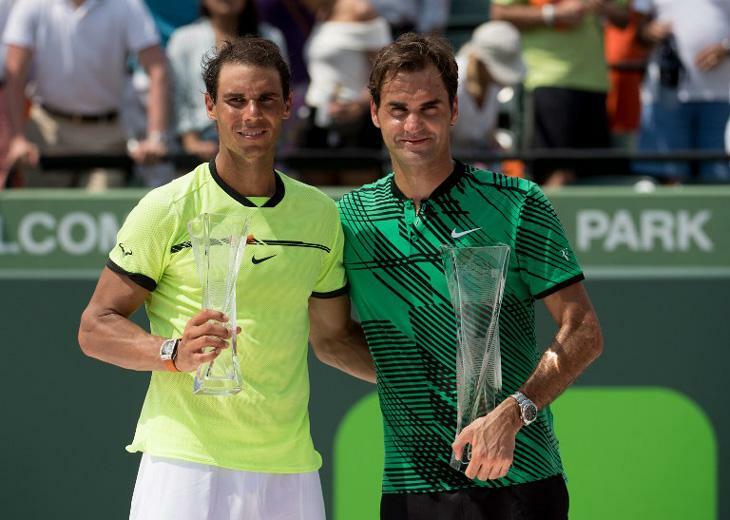 At 35 years and seven months old, Federer became the oldest Miami Open champion ever, defeating Nadal in one hour and 34 minutes. 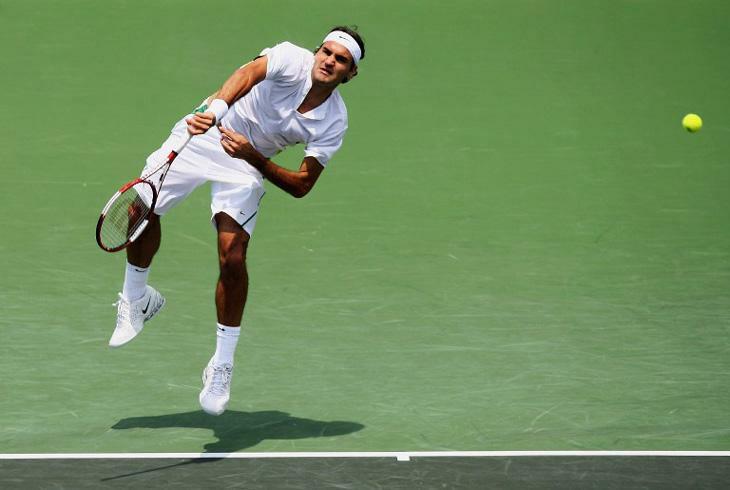 Federer converted two out of nine break points, saved all four he faced, and hit 29 winners and five aces. 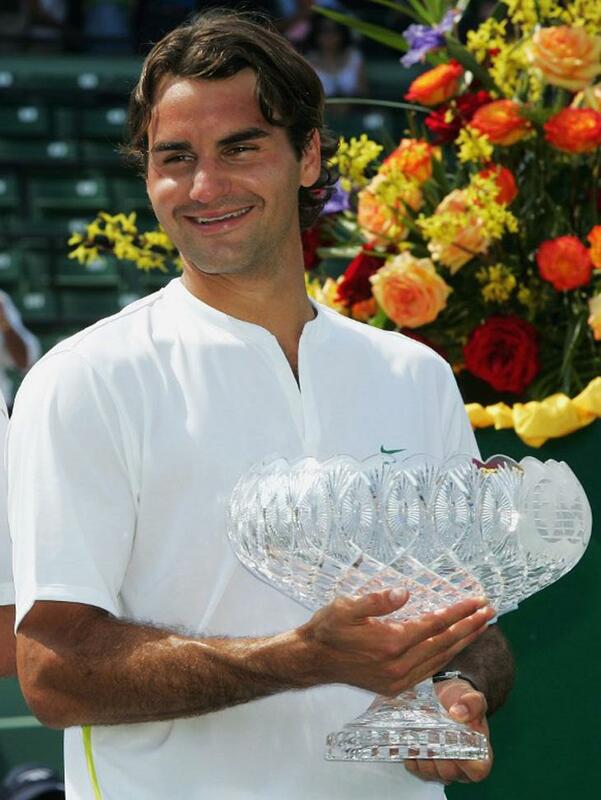 With this victory, Federer added to the two Sunshine Doubles in 2005 and 2006. With the Sunshine Double in the bag, Federer will return to the top five of the Emirates ATP Rankings at number four, when the new rankings release on Monday.The two Masters titles were his 25th and 26th ATP World Tour Masters 1000 crown respectively. That is second only to Novak Djokovic (at 30 titles) and Nadal (with 28 titles). The two Masters titles were his 25th and 26th ATP World Tour Masters 1000 crown respectively. That is second only to Novak Djokovic (at 30 titles) and Nadal (with 28 titles). 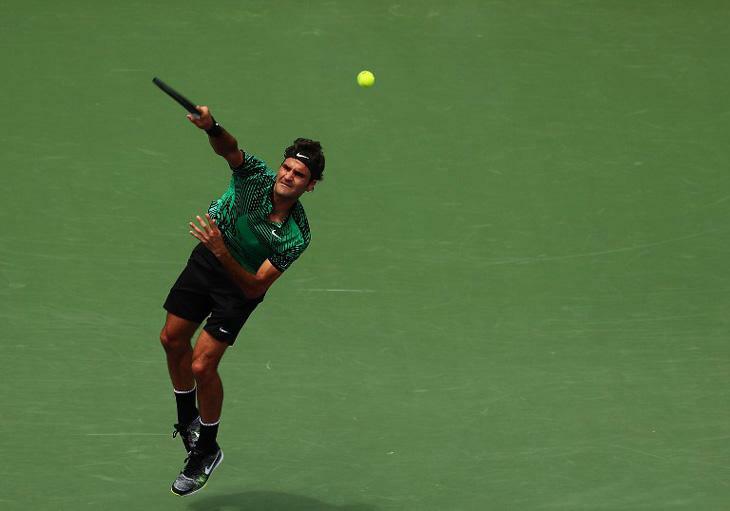 Federer's latest win propelled him to 91 tour-level titles. This, again, is second only to Jimmy Connors (109) and Ivan Lendl (94). It's expected that this year Federer will pass Lendl, but whether or not he will pass Connors is debatable. Can Federer extend his run of form? The question on everyone's mind is whether or not Federer can extend this run of form and how many more Grand Slams he can win. 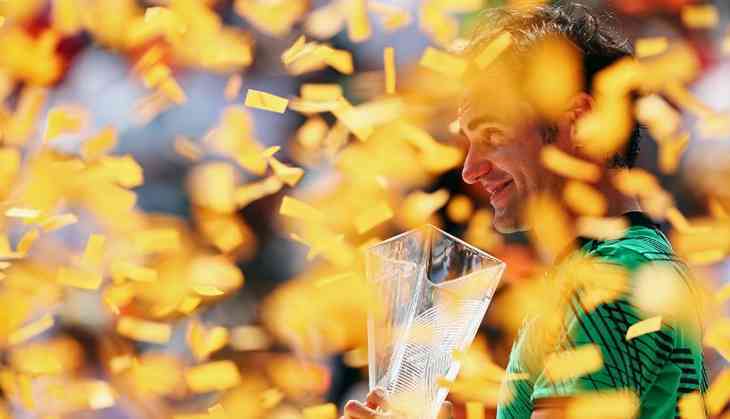 After all, he did finally win his 18th title at the Australian Open. What we do know is that Federer has fully recovered from his surgery he had last year and is playing at the peak of his powers. The decision to take a break before the French Open is indicative of how Federer is aiming to extend this run, preserving his fitness while picking his tournaments carefully. With the French Open marking the end of the clay court season and signalling the start of the grass season, Federer's within sniffing distance of his favoured grass courts. With many of his fans seems to think that Federer will retire at the end of this season, Federer's last two aims would probably be a Calendar Grand Slam and to hit the 20 Grand Slams mark. The former might not be easy with Nadal standing in his way, but the latter might be easier looking at his dominance of the Wimbledon and US Opens in the past. However, Nadal, Novak Djokovic, Andy Murray and Stan Wawrinka will all be looking to ruin what is turning out to be a repeat of the 2006 season for Federer. TWEET THIS Roger Federer is unstoppable. Completes third Sunshine Double with his fourth consecutive win against rival Rafael Nadal Roger Federer may have won the #MiamiOpen, but with an eight-week break coming up, can he also win the #FrenchOpen?